The Brexit referendum on the 23rd June will decide if Britain will make history by quitting the EU, which is causing great uncertainty. In the event of a Brexit, there will be serious economic and political repercussions. Britain’s 76 per cent of holiday trips abroad are made to one of the countries in the EU. 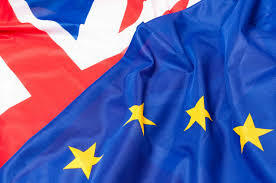 Moreover, 63 per cent of the total inbound visitors to UK are from EU countries. This signifies that Brexit will surely make a huge impact on UK’s tourism and hospitality industry. The Association of British Travel Agents (ABTA) published a comprehensive report on what it might mean for UK’s holidaymakers and business travellers. The report examines how the current relationship between the EU and UK has affected travellers and the trade industry and what the likely impact would be if the Britons do decide to leave the EU. The no-frills airlines were a huge success due to several agreements with the EU. The EU regulations imposed certain air service agreements and introduced open competition which considerably reduced flight rates. If the UK exits from the EU, these agreements will no longer hold and prices might rise again. This would mean huge costs for business travellers travelling EU countries. Being in the EU meant that there was free health cover through the European Health Insurance Card in any of the EU countries. After the Brexit, it is very likely that travellers from the UK will not be able to have this service. The economists have differing opinions on this but there is a great likelihood that the value of pound might be undermined. According to Investment bank Goldman Sachs, the vote to leave the EU could cause a 20 per cent decline in sterling’s value. This may be an end to an incredibly good value that Britons had been enjoying in EU countries. Under the EU directive, all airlines sufficiently compensated passengers if the flight was delayed or cancelled. The Brexit, however, will lead to considerably lower compensation from airlines. It might also affect the care and assistance that airlines were previously liable to provide. Over the years, there was increased pressure from the EU towards large mobile phone operators to reduce the costs for EU members. The roaming charges had plunged in the recent years but the Brexit might mean increased charges for the British travellers. This will lead to extra costs for business travellers as they have to stay in touch with their bosses back home. It is pretty difficult to predict what would exactly happen in the months following the Brexit. However, one thing for sure is that it will be a time of huge uncertainty.